Do you have a friend that might enjoy my stories? Someone who might be blessed by what they might find in my blog and other media helpful? Well, this is their chance. 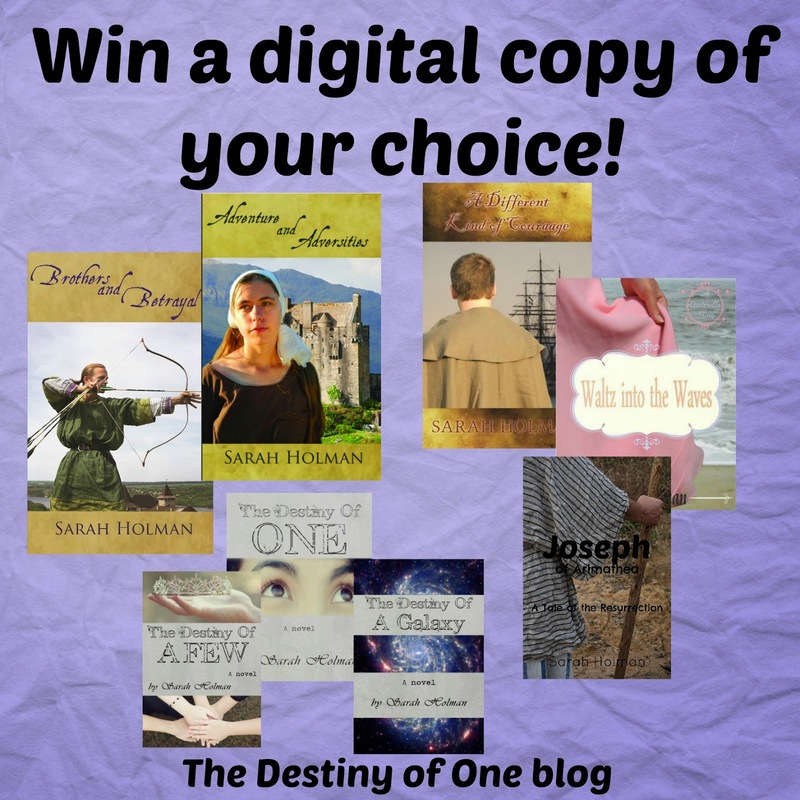 This giveaway is for those who are new to my blog. If you have been following for a while, share this with a friend. They will get their choice of one ebook. I've heard much about your books, Sarah. Looking forward to reading one myself. Do you draw inspiration for your books from your siblings and family? Welcome! My siblings and family is a huge inspiration in every book. Some of the events between the siblings in the Destiny books were based off real life events. So you've written sci-fi, historical, and fairytale... What's your favorite genre to write? What about read? Historical fiction is my favorite to write and read. The others are a lot of fun, but historical fiction is my passion.